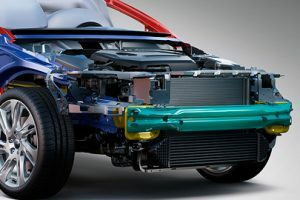 Volvo became the first traditional automaker to announce the end of internal combustion engines saying that all its cars will have electric motors over the next three years. The company is best known for the emphasis it puts on driver safety, but will not kill the gas and diesel engine completely. By 2019, all Volvo cars will be either hybrids or all electric. The hybrid will combine the conventional engine with an electric one. The move by Volvo puts pressure on U.S. based Tesla, which makes its own line of electric vehicles. On Sunday, Tesla announced that it would begin deliveries of its Model 3, its first car that is designed to be mass market. The first vehicles will roll of the assembly line this month. Tesla’s founder Elon Musk said the firm was on the right track to manufacture over 200,000 of it Model 3 vehicles per month by December of this year. The rise of his company has upset the power balance in the car industry across the United States. Tesla, which does not make a profit yet, now has a market capitalization of $58 billion, which is close to 25% higher than Ford’s market capitalization. Ford is one of the auto industry’s giants and has dominated the auto industry for over 100 years. As well as moving west from Michigan to Silicon Valley in California, where Tesla has its headquarters, the move by Volvo to electric underscores a shift to the east or specifically China. Geely, which is the parent company of Volvo and based in China, has quietly been pushing forward with the development of an electric vehicle for the past 10 years or more. The CEO of Volvo’s division for car making Hakan Samuelsson said that the announcement brings to an end only the combustion engine powered vehicle. Samuelsson added that people are demanding electric cars more and more and Volvo wants to respond to those demands of its customers in order to fulfill both their current as well as future needs. The greatest rival of Tesla and Musk may be in China rather than in its own backyard of the U.S.
With worries of climate change, carmakers and tech firms have been trying to develop in earnest electric vehicles the last 10 to 15 years and the fruits of that labor are slowly becoming available with Volvo’s announcement just the latest sign the combustible engine is on its way out.